Sony’s PlayStation 4 is fast approaching a significant sales milestone. 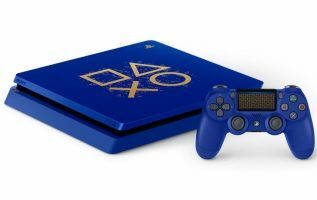 The company, at its pre-Consumer Electronics Show press conference Monday, announced lifetime sales of the PlayStation 4 have hit 91.6 million units worldwide. Holiday sales were strong for PlayStation. Sony says it sold 5.6 million consoles and 50.7 million PS4 games, led by the company’s Marvel’s Spider-Man game, which sold 9 million copies, and the continuing Fortnite craze. Game sales are particularly significant as console manufacturers make more money from their share of software sales than hardware. The company also says its PlayStation Network, which charges users a recurring annual fee to access online play and other features, saw strong growth, with total subscribers topping 90 million by the end of November 2018.